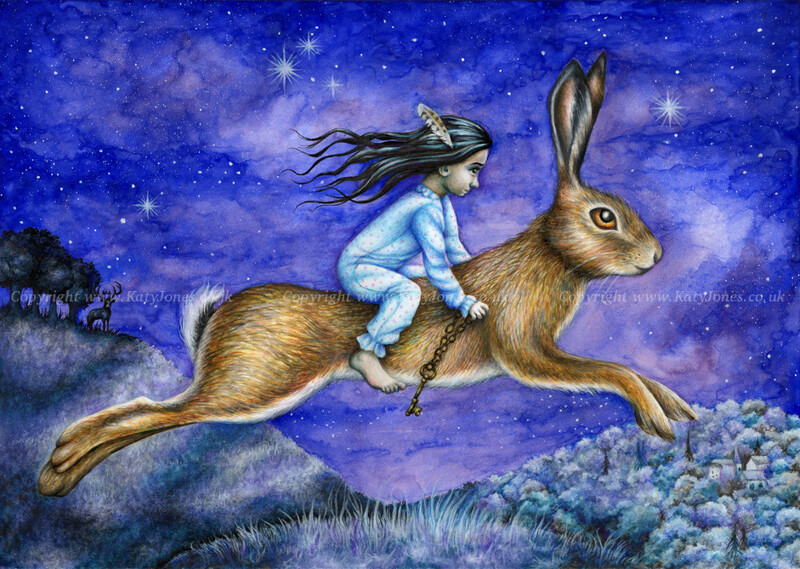 Mixed media illustration of a little girl riding on a giant hare. This mysterious illustration is supposed to intrigue and provoke storytelling. Who is the little girl? What is her destination and why is she going there? What will she use the key for? Journey far and travel deep.